This Diamonds Jubilee Quilt designed by Accuquilt, The Pattern is available for free. 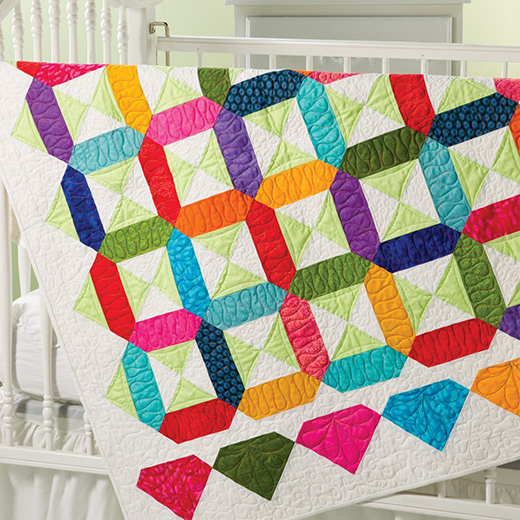 Create a bright and cheerful baby quilt for the next shower you attend. This easy design will have everyone talking about this unique setting. It's perfect for any color theme or for using your scraps.